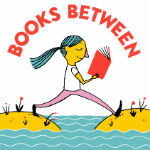 Hi everyone and welcome to Books Between - a podcast for teachers, parents, librarians, and anyone who wants to connect kids between 8-12 to books they’ll love. I’m your host, Corrina Allen - a teacher, a mom, and battling a cold this afternoon! So if I sound a little...off - that is why! This is episode #68 and Today I’m answering some questions about trends in middle grade and sharing with you some fabulous 2019 titles to look forward to this year! Last month, my husband asked me some questions about trends in middle grade fiction. He teaches a class at Seton Hall all about trends in genre fiction and wanted some input on middle grade. So I thought I would share my responses with you. And I would be very curious about what YOU would answer. What genres or subgenres do you believe are the hottest right now? Well, it’s a format and not a genre but graphic novel memoirs like Hey Kiddo, Real Friends, and Be Prepared are still really popular. And also graphic novel adaptations of classics (like Anne of Green Gables) and popular novels (like Wings of Fire or Percy Jackson). And again, not genre, but I see more books that are based on the core experiences of the writer. Those novels that draw on the real-life backgrounds of the authors like Kelly Yang’s Front Desk, Tami Charles’ Like Vanessa, and Supriya Kellar’s Ahimsa. They’re not memoirs but they are books rooted in a very personal experience. To authors, I’d say - take those things that make you unique, that make you a bit quirky, that set you apart from most other people - and write THAT story. Like Kelly Yang taking the experiences of her family coming from China and running motels to write Front Desk. Jarrett Krosoczka writing the critically acclaimed graphic novel memoir Hey Kiddo about his life living with his grandparents after his mom lost custody of him due to drug addiction. Crack that door open and invite us inside. What genres or subgenres do you believe are passé or overexposed? I don’t know…. I do wonder how long the unicorn and narwhal craze will last but that seems to live more in picture books than middle grade. Magical realism - or rather realistic fiction with a magical twist - doesn’t seem to be slowing down. You know - anything can be new and fresh with the right spin. And also, authors from marginalized backgrounds are still underrepresented in just about every genre so those are stories that will likely have new points of view. I thought I was totally over zombie stories but Dread Nation popped up and whoa!! I’ve never read a zombie story like THAT before! If you had to predict, what genre or subgenre do you think is primed to be the next Big Thing in the next year or so? I would say stories about immigrants, refugees, and the unique experiences of marginalized groups (especially by #ownvoices authors) will continue to be popular. Over the last couple of years we’ve seen an explosion of critically acclaimed middle grade stories like Alan Gratz’s Refugee, Jacqueline Woodson’s Harbor Me, and Escape from Aleppo by N.H. Senzai among many more. We also have more and more books coming out that tell stories of police violence in developmentally appropriate ways like Ghost Boys by Jewell Parker Rhodes and Blended by Sharon Draper. I’m also really excited about a new crop of middle grade #MeToo stories on the horizon like So Done by Paula Chase and the upcoming Barbara Dee novel Maybe He Just Likes You. Any comments about where you see genre fiction heading? In middle grade, like everywhere else, #ownvoices books are still underrepresented - everyone has a unique story to tell or a unique POV to offer. EVERYONE. So my advice to authors, take the spark of your unique life experiences and let that burn throughout your story. My advice to educators - scour those shelves to find a wider variety of books. Also - if you write for a YA/MG audience, librarians and educators are more and more eager to the ditch the old canon and form partnerships with authors. Look for opportunities like #KidsNeedMentors or reach out to your local schools and libraries. The last couple of episodes were all about looking back on some of the best that middle grade had to offer in 2018. (If you missed those, go check out episodes #66 and #67.) But today is all about looking forward into the new year. Last year, when I did our Most Anticipated MG of 2018, I went chronologically by month. But this year I’m going about it a little differently and discussing the new releases by category. First, we’ll chat about the new graphic novels coming up in 2019. And then we’ll talk about new releases from authors who debuted in 2018 and 2017 and see what they’re up to now. After that, I’ll give you a peek at some of the 2019 debut middle grade authors. Then we’ll see what new books are coming out in favorite series and what sequels we have to look forward to. And finally, we’ll finish up with the 2019 releases from more established authors. So, buckle up and get ready to add to your wish list. And remember - no need to go hunting for a pen and paper. You can find every book mentioned AND a picture of the available covers AND a link to pre-order them right on the Books Between post for this episode, #69, at MGBookVillage.com. I’ve got your back, I know you’re busy, so it’s all right there for you. And as I’ve said before, I’ve come to really love pre-ordering - it helps out favorite authors and it’s like a little surprise to your future self. Before we jump in, just remember that this is just a sampling of all the incredible books coming out this year. I’ll add some links to some other great resources in the show notes and on the website where you can find more complete listings of titles to browse through and the MGBookVillage website has a great release calendar so that’s one to bookmark for sure. Also - publication dates do occasionally change, so just be aware of that. Alright, get your Goodreads tab open, or your library website pulled up, or your Amazon/Indiebound shopping cart ready, or ….. print out the show notes and bring it to your favorite local bookstore! Alright - let’s get to it! This January, Lincoln Peirce, the author of Big Nate, has a new graphic/illustrated novel series set in the middle ages called Max and the Midknights that looks really, really cute. Also out on January 8th is Click by Kayla Miller - the story of 5th grader Olive who is having some trouble finding where she “clicks” in middle school. The sequel, called Camp, is being released this April so fans won’t have to wait long for the next one. A fantasy graphic novel that Mel Schuit recommended that I check out is The Chancellor and the Citadel by Maria Capelle Frantz so that’s on my radar now - and yours! Thank you, Mel! On January 29th another Hilo is coming our way! Hilo 5: Then Everything Went Wrong. And on that same day the 5th Bird & Squirrel is coming out called All Tangled Up. One graphic novel adaptation that has really piqued my interest is Meg, Jo, Beth, and Amy: A Modern Retelling of Little Women by Rey Tercerio and illustrator Bre Indigo. The classic is reimagined as a blended family living in modern-day New York City. I don’t think I’ve ever hit “pre-order” faster and will be eagerly stalking my delivery person on February 5th for that one! My mailbox is going to be brimming on February 5th because I also HAD to preorder New Kid by Jerry Craft! It’s about seventh grader Jordan Banks who loves drawing cartoons and dreams of going to art school. But his parents enroll him in a prestigious private school instead, where Jordan is one of the few kids of color in his entire grade. Looks amazing!! 90-Second Newbery was singing its praises on Twitter last night and said this about it: “The amazing graphic novel New Kid by @JerryCraft should definitely be on everyone's tbr list and it has a full-cast (and all-star cast) audiobook released at the same time….perfect for rich, nuanced convos abt race, class, identity, school systems, how we share books, code switching, starting new school, just so much!” So, yeah… I’ll just wait here for a bit while you hit pause and go order that! We also get the second Wings of Fire graphic novel, The Lost Heir, on February 26th AND the second Mr. Wolf’s Class book called Mystery Club. And a heads up that the graphic novel of The Hidden Kingdom (Wings of Fire Book 3) is out in October 2019. For those Minecraft fans in your life, this March we get another Diary of an 8-Bit Warrior graphic novel - Forging Destiny. And for older middle grade kids - maybe 11 or 12 and up - look for the new graphic novel adaptations of The Iliad and The Odyssey this March as well. And fans of Terri Libenson’s Invisible Emmie and Positively Izzie will want to get their hands on Just Jaime - coming out May7th. There were lots of smiles among my students today when I told them that news! Bad Guys #9 - The Bad Guys in the Big Bad Wolf is out June 25th. Perfect launch for a fun summer read. This August brings us Best Friends, the sequel to Shannon Hale and LeUyen Pham’s Real Friends - out on August 27th. And have you seen the cover? It’s Shannon at the top of a rollercoaster with this vibrant purple background. Love it, love it, love it! And Dog Man fans (like my daughter) will be psyched this August because we are getting Dog Man #7: For Whom the Ball Rolls! The seventh graphic novel adaptation of the Baby-sitters Club, Boy Crazy Stacey, illustrated by Gale Carrigan, will be out September 3rd. That’s one of those no-brainer preorders for my classroom library. Also - I was interested to hear that R.J. Palacio is publishing her first graphic novel Wonder story this fall called White Bird. This one is Julian’s grandmother’s story about her life as a young Jewish girl hidden away by a family in Nazi-occupied France during World War II. So be on the lookout for that one September 3rd as well. You want another don’t-even-have-to-think-about-it-just-preorder-it graphic novel? Guts - the long-awaited new Raina Telgemeier graphic memoir is out September 17th!! September also brings the latest from Tillie Walden - Are You Listening. The peeks I’ve seen of that online look incredible, so that one is definitely on my radar this fall. And then….….. Drumroll please…… Mighty Jack and Zita the Spacegirl!! Ahhhh!! I knew it! That last page in Mighty Jack and the Goblin King was just too good not to be followed up with a joint adventure. Yay! Jen Wang - author of last year’s hit, The Prince & the Dressmaker, has a new graphic novel coming out in September called Stargazing. This one draws on her personal experiences and is the story of two friends - Moon and Christine. And this November we’ll get The Midwinter Witch - the third and final book in the trilogy that includes The Witch Boy and The Hidden Witch. And…. I think, maybe, possibly.. that Amulet #9 (the final one of the series) will be released late this year. But I can’t find much info on it. No title, no date, no synopsis - nada! So, I’m cautiously optimistic that it will arrive in 2019. Finally - another graphic novel to be on the lookout for later in 2019 is Twins by author Varian Johnson who you may know from The Parker Inheritance and illustrator Shannon Wright. The publication date isn’t yet announced, but apparently it’s about twin sisters struggling to figure out individual identities in middle school and it’s based on Johnson’s own childhood experiences as a twin. Early February brings us the second in Anna Meriano’s Love, Sugar, Magic series called A Sprinkle of Spirits and oh is that cover gorgeous! And definitely snag a copy of the sequel to Jarrett Lerner’s EngiNerds - Revenge of the EngiNerds out on February 19th. It is EVEN FUNNIER than the first one. And that’s saying something! Another book I’m looking forward to is Jen Petro-Roy’s Good Enough - about a young girl with an eating disorder. Game of Stars by Sayantani DasGupta - the follow up to The Serpent’s Secret is out on February 26th. And the end of February also brings us Bone Hollow by Skeleton Tree author Kim Ventrella. Also be on the lookout for The Hunt for the Mad Wolf’s Daughter by Diane Magras on March 5th. That sequel is getting rave reviews so it’s definitely one to add to your library. Alyson Gerber, author of Braced, will have a new novel out called Focused. It’s about a middle school girl who loves chess and has been recently diagnosed with ADHD. Definitely a book a lot of my students will be able to connect with! This April brings us the second novel from Rebecca Donnelly called The Friendship Lie. One book I’m excited to dip into this spring is Up for Air by Laurie Morrison. You might know her from last year’s Every Shiny Thing. From the author of 2017’s The Epic Fail of Arturo Zamora and 2018’s Marcus Vega Doesn’t Speak Spanish comes Each Tiny Spark. This is Pablo Cartaya’s third MG novel and this one features a young girl, a father recently returned from deployment, and… welding. So look for that one in August. And The Cryptid Keeper, the sequel to Lija Fisher’s 2018 The Cryptid Catcher is out this August as is Melissa Sarno’s A Swirl of Ocean. In September comes the sequel to Insignificant Events in the Life of a Cactus by Dusti Bowling. It’s called Momentous Events in the Life of a Cactus and follows Aven’s adventures as she heads into high school. At first I thought that might put it in the YA category, but from what I can tell, it’s still middle grade. This fall we’ll also be treated to Abby Cooper’s third novel - Friend or Fiction. Just like Sticks and Stones and Bubbles, this one is also magical realism. It’s about a girl named Jade. In the pages of her notebook, she writes all about Zoe--the most amazing best friend anyone could dream of. But when pretend Zoe appears in real life thanks to a magical experiment gone right, Jade isn't so sure if she likes sharing her imaginary friend with the real world. Another treat in store for you this fall is the third novel by Elly Swartz - Give and Take. This book is about 12 year-old Maggie whose grandmother’s recent death has triggered her to start hoarding things under her bed. So - I’ll just say right now that I could have had an ENTIRE show just dedicated to the amazing middle grade debuts coming our way this year but at some point, I had to cut myself off. So - I’ll include a link to the Novel19s website where you find many more middle grade debuts and discover some of your new favorite authors. The Whisperers is Greg Howard’s middle grade debut and one that has really caught my eye. Just listen to this description: “Eleven-year-old Riley believes in the whispers, magical fairies that will grant you wishes if you leave them tributes. Riley has a lot of wishes. He wishes bullies at school would stop picking on him. He wishes Dylan, his 8th grade crush, liked him, and Riley wishes he would stop wetting the bed. But most of all, Riley wishes for his mom to come back home.” Oooo…. This one is out January 15th. If you are looking for a new book for younger middle grade readers - something along the lines of Ramona Quimby or Stella Diaz - check out Meena Meets Her Match by Karla Manternatch. One book that keeps popping up into my radar is the middle grade debut of Padma Venkatraman called The Bridge Home about four children who discover strength and grit and family while dealing with homelessness. That one comes out Feb 5th so be on the lookout for that one. Another debut that I have been dying to read is The Simple Art of Flying by Cory Leonardo! Let me just read you the teaser: “Born in a dismal room in a pet store, Alastair the African grey parrot dreams of escape to bluer skies. He’d like nothing more than to fly away to a palm tree with his beloved sister, Aggie. But when Aggie is purchased by twelve-year-old Fritz, and Alastair is adopted by elderly dance-enthusiast and pie-baker Albertina Plopky, the future looks ready to crash-land.” My step-mother had parrots when I was growing up, so this one in particular I really am interested in reading! So I’ll be checking my mailbox for that one on February 12th. Another debut I am excited to read this year is Joshua Levy’s Seventh Grade vs. the Galaxy! Since one of my goals this year is to introduce my students to more science fiction, a story about a school on a spaceship orbiting Jupiter would be perfect! On March 12 we get Lisa Moore Ramée’s debut A Good Kind of Trouble about a girl who just wants to follow the rules. And sometime this spring we get rather the opposite in Bernice Buttman, Model Citizen by Niki Lenz. This one is about a “bully” who ends up living with her aunt who is a nun and tries to turn over a new leaf. This March is the debut of Julia Nobel with The Mystery of Black Hollow Lane about a girl who gets shipped off to a British boarding school and finds a box of medallions that might just be connected to the disappearance of her father. A graphic novel debut coming in March that looks fabulous is Red Panda & Moon Bear by Jarod Roselló. It’s about two Latinx kids who defend their neighborhood from threats both natural and supernatural. And in late April is the first book in a new MG detective series called Kazu Jones and the Denver Dognappers by Shauna Holyoak and a time-traveling action adventure that will transport readers to ancient Egypt called Jagger Jones & the Mummy’s Ankh by Malayna Evans. Hurricane Season by debut author Nicole Melleby comes out May 7th and oh how do I want to read this novel! On a recent #MGLitChat focused on the 2019 debut authors, the moderator asked, “What do you hope young readers take away from your book?” And Nicole Melleby said the following, “ I want them to take away that they’re not alone, that they’re seen, that mental illness is hard but manageable, and that love may have its limits, but help comes in all shapes and sizes. Also that Van Gogh was a brilliant man.” After reading Vincent & Theo last summer - uhhh…. gimme that book!! Another great middle grade debut to look for on May 7th is Just South of Home by Karen Stong which is described as Blackish meets Goosebumps. The story follows a rule-abiding girl who must team up with her trouble making cousin, goofy younger brother, and his best friend to unravel a mysterious haunting in their tiny Southern town. Also coming this spring is a book that I immediately knew I wanted to read. It’s called Planet Earth is Blue by Nicole Panteleakos. (So, I was pretty much ALREADY sold by the Bowie reference.) The book follows Nova, an autistic, nonverbal, space-obsessed 12-year-old who is awaiting the Challenger shuttle launch and the return of her big sister, Bridget, as she struggles to be understood by her new foster family. I was a 4th grader when The Challenger Disaster happened and vividly remember watching it happen live on tv, so I am really interested to see how that plays out in this book. Another debut to look for early this summer is All of Me by Chris Baron - a novel in verse about a 13 year old boy who is dealing with a big move, struggles in his parents’ marriage, and his own body image issues. So… if you are a close listener, you have probably figured out that I’m a sucker for books involving baking or cooking. Maybe that’s why Midsummer’s Mayhem by Rajani LaRocca just leapt out at me when I stumbled across it last month. This is a contemporary-fantasy retelling of A Midsummer Night’s Dream about an 11 year old Indian American girl whose father is a food writer and whose mother is a successful businesswoman. But when she adds some rather…. unusual (and maybe magical?) ingredients to her baking, things get out of hand. So look for that one on June 4th. And if your kids are looking for a fun spooky read this summer, Ollie Oxley and the Ghost comes out on June 18th and looks really cute. It’s about a boy who moves to California and ends up becoming friends with a ghost from the Gold Rush era. Ghost Squad by Claribel Ortega is another paranormal middle grade coming this September and it’s described as Coco meets Stranger Things. So, uh… yeah...gimme that for sure! Also coming out this September is The Light in the Lake by Sarah Baughman - a book about a young girl who finds herself caught between her love of science and her late twin brother's belief in magic. This January 29th we’re getting two awesome books: a 4th in the Crime Biters series - Fangs for Everything AND I Survived the Battle of D-Day, 1944 by Lauren Tarshis. And watching out for another I Survived book in September called I Survived the Great Molasses Flood, 1919. Also in 2019 we are getting not one but TWO new Babysitting Nightmares books! The Phantom Hour this January 29th and The Twilight Curse on August 20th. February 5th brings another Stick Dog book - Stick Dog Gets the Tacos AND the third Frazzled book by Booki Vivat! This one is called Minor Incidents and Absolute Uncertainties. I just love her titles! In late February kids will be getting book 4 in the DC Comics Secret Hero Society - Science Fair Crisis! In March comes book five in The School for Good & Evil series: A Crystal of Time , a new Emily Windsnap novel called Emily Windsnap and The Pirate Prince, and another in the Fairy Tale Reform School series called Wished. In March we also get a seventh Jedi Academy Book called Revenge of the Sis. This one starts a new storyline and is written by Amy Ignatow with Jarret Krosoczka illustrating. And an as yet untitled 8th Jedi Academy novel is scheduled for September 2019. AND I’m really excited for the third BAT book: Bat and the End of Everything by Elana K. Arnold. My daughter’s 4th grade class read the first book and they - of course! - fell hard for this series! Jeff Kinney fans will be excited about Diary of an Awesome Friendly Kid - a book told from Rowley’s point of view that is out this April. And that month also brings us another Unicorn Rescue Society novel - The Chupacabras of the Rio Grande. And my 9 year old is going to be thrilled when I tell her that Katherine Applegate’s sequel to The Endling is coming out May 7th. It’s called Endling: The First and is already in my cart. The second book in Laura Ruby’s York series - The Clockwork Ghost is also headed our way this May and so is Another Fenway & Hattie book - In the Wild! Natalie Lloyd’s sequel to The Problim Children - Carnival Catastrophe is due to be out June 25th. And not quite a sequel but more of a spin-off, is Dough Boys by Paula Chase - author of 2018’s So Done. Characters Simp and Rollie are the leads in this novel told in two voices. Also - Karina Yan Glaser’s third Vanderbeekers novel is coming this September - The Vanderbeekers to the Rescue! And finally - just announced this morning - is Kate DiCamillo’s new novel coming September 24th - Beverly, Right Here. And if you guessed that this is the Beverly from Raymie Nightingale - then you are correct! So now each of the three girls will have their own novel. By the way - if you haven’t seen it yet, the cover by Amy June Bates is stunning!! First up here is the book I am devouring right now - The Remarkable Journey of Coyote Sunrise by Dan Gemeinhart which just came out on January 8th. And oh…. does this book live up to its hype! Brace yourself to hear lots more about this one later! Also out this January is a book my friend Sandy has been raving about - The Unsung Hero of Birdsong, U.S.A by Coretta Scott King honor nominee Brenda Woods. So I definitely need to add that one to my TBR list. This January readers will get a new Gordon Korman novel - Unteachables AND a new Andrew Clements novel - The Friendship War. Pink Hair and Other Terrible Ideas by Andrea Pyros is one to watch out for this February. And another upper middle grade February release that caught my attention is a joint novel told in letters by Counting by 7s author Holly Goldberg Sloan and The Interestings author Meg Wolitzer. It’s called To Night Owl from Dogfish and it’s about two very different 12 year-old girls named Averie and Bett who are sent off to the same sleepaway camp in order to bond after their single dads fall in love with each other. February also bring us another novel by Anne Urso (author of the critically acclaimed The Real Boy) This novel, The Lost Girl, is about identical twins Lark and Iris. On March 5th we get another Lisa Graff novel called Far Away about a girl, CJ, whose aunt is a psychic medium who claims that she carries messages from the dead. And I’m really psyched for We’re Not From Here by Tapper Twins author Geoff Rodkey. This novel is also out March 5th and is about refugees from planet Earth who need to find a new home on a faraway planet. I had the opportunity to read an ARC of this one and it’s quirky and hilarious… and timely. Definitely add this one to your pre orders. March also brings us another Rick Riordan Present’s book called Sal and Gabi Break the Universe by Carlos Hernandez. I’ve been hearing lots of great buzz about this one, so I’ll definitely need to pre-order a copy. On March 19th we get a new Kevin Henkes novel called Sweeping Up the Heart and this one is the story of the spring break that changes seventh-grader Amelia Albright’s life forever. In late March Natalie Lloyd fans will be treated to Over the Moon - a story about twelve-year-old Mallie who lives in a mining town where boys leave school at 12 to work in the mines, and girls leave to work as servants for the wealthy. But of course with that quintessentially Lloyd magic interwoven. And another Cynthia Lord book is coming out this March! She is the author of Rules and A Handful of Stars. This one is titled Because of the Rabbit and is about a young girl who starts public school for the first time after being homeschooled. Where the Heart Is by Jo Knowles is coming out April 2nd and a really interesting looking book called Summer of a Thousand Pies by Margaret Dilloway will be released April 16th. It’s about a girl who has to save her aunt’s pie shop. I think this one would be a winner for kids who enjoy shows like The Great British Baking Show. In early May, we get to read Lynda Mullaly Hunt’s next novel, Shouting at the Rain about a girl named Delsie who lives with her grandmother, loves tracking weather, and who starts to wish for a more “regular” family and life. You can’t go wrong with the author of Fish in a Tree and One for the Murphys so… just pop this one in your cart now! And finally - I know you all have heard me rave about this one before - but Barbara Dee’s Maybe He Just Likes You is going to be AMAZING! My students and I got the chance to read the first chapter and we were all already hooked. But let me give you a little taste from the teaser: “For seventh grader Mila, it starts with an unwanted hug on the school blacktop. The next day, it’s another hug. A smirk. Comments. It all feels…weird. According to her friend Zara, Mila is being immature, overreacting. Doesn’t she know what flirting looks like? They don’t understand why Mila is making such a big deal about the boys’ attention. When Mila is finally pushed too far, she realizes she can’t battle this on her own–and finds help in some unexpected places.” I can’t WAIT!! Phew!! Alright - I am both energized and - I gotta be honest - a little daunted! But - I am reminding myself and I hope you’ll remember too that it’s not about a mad dash to read all of these books. But to give you a taste of what’s to come so you can match readers with books they might like and get them excited about new releases. I hope you have a wonderful year reading and I would love to know - what are the books that you and your students are most looking forward to in 2019? You can email me at booksbetween@gmail.com or jump into the conversation on Twitter/Instagram at the handle @Books_Between.